Beautiful You: My University Experience & Post University Blues- Really?! My University Experience & Post University Blues- Really?! 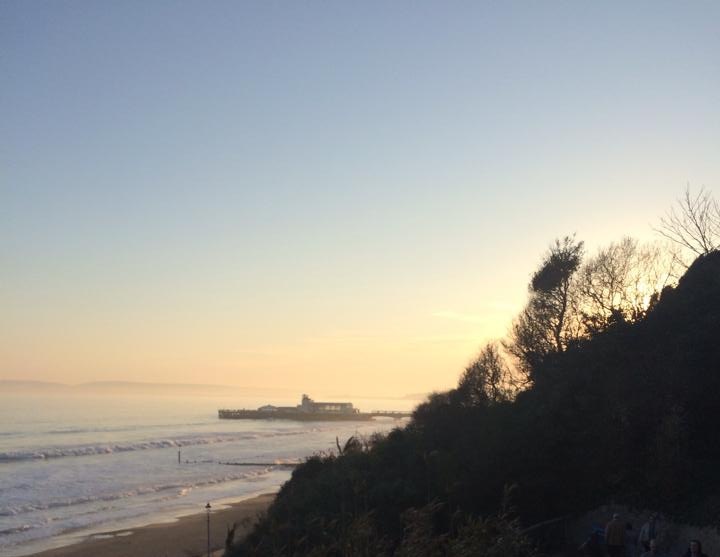 In the September of 2013, I moved to Bournemouth without really knowing where I wanted to go or what I wanted to do with my life. I had studied law at college for the previous two years and throughly enjoyed it, hence why I decided to take it further. This along with the fact that it is an amazing degree to have that can open so many doors were the main reasons why I chose to complete a law degree. My university experience started when I moved to Bournemouth into Flat 41, Chesil House with five other people I had never met before Emily, Max, Matthew, Rebecca and Alex. Our halls were slap bang in the middle of the town, only a short walk to the shops, the beach and the nightlife. We definitely had our ups and downs in the flat but that was inevitable and it is all part of the university experience at the end of the day. After a few weeks of lectures, I also met a group of people on my course Paige, Sam, and Steph and we soon became what everyone liked to call "your course friends". First year is always easier even though you don't realise it at the time, the workload isn't too much, the assignments are easy to research and you have time for yourself which towards the end becomes a luxury! Part of me wishes that I made the most of first year instead of spending half my time letting my anxiety and nerves get the better of me however I can't change anything now. It was also around this time that I created my blog, I had thought about it for a while before but I always thought that I wouldn't be able to think of that much content or that my work wouldn't be valued but in 2013 I took the plunge. I decided to put myself out there, even if only one person read my blog that would be enough for me as it could still put a smile on one person's face. Now, almost three years later I can say that it was one of the best decisions I have made! So first year came and went and it was time for us to move into our first student house, everyone knows that student houses can be hmmm... shall we say interesting?! Despite the horror stories, I have to say that all of those that I have lived in have not been too bad. I don't know if we were just lucky or if it is just a myth. I moved into the first student house with Emily, Rebecca and Matthew from Flat 41 and two girls Jess and Zahna who lived in Flat 42. Our house in second year was called 'Garth Road' because lol it was on Garth Road, it was a half an hour walk away from university and a twenty minute bus ride into the town centre and to the beach. I shared the top floor of the house with Rebecca and Emily from my first year flat and we had the best time, sharing make-up and fashion tips and generally having a really good laugh. In terms of uni, things start to get harder, the grades actually count towards your final classification and it starts to get serious. None the less, I had an amazing year with plenty of trips to the beach, numerous trips to Wilkos and several nights 'out' in Spoons! This was also the year that I launched my YouTube channel, I grew this platform and created my channel under the same name. Although I haven't posted in over two years I do have almost 200 subscribers and it something that I would love to re-launch at a later date, let me know if this is something that you would like to happen. My degree is know as a sandwich degree, you study on campus for two years before completing a year in the industry before coming back for final year to complete it all. My placement was at a solicitors called Morris Orman Hearle in Cheltenham, therefore I move again into a house share with two other people I didn't know. Although I was thrown into the deep end at the beginning of my placement it definitely made me a lot stronger and more motivated to prove myself capable throughout my time there. The office environment was lovely and I made some good friends although it didn't do much for my waistline as there was always cake in the kitchen; always. I thoroughly enjoyed my time at MOH and I definitely recommend doing this type of degree because, especially in my case, having that year experience is so valuable when coming out of education and being faced with getting a job. Every job that I have looked at asks for experience, yet if no one is willing to give you a chance then how can you gain experience?! Which is what makes having this opportunity so fantastic as it is a way to build your professional profile. Having said all of that, the hardest thing to do is to go from being in education for so long to working and then having to go back into education again, you feel so rusty! I again moved back to Bournemouth and into another student house with Emily, Max, Elliot and Paige and I think I have to say that this was my favourite year based on accommodation out of the four. The final year is all option based units which you have to submit the summer before, I chose Media & Entertainment Law, Employment Law, Family Law and Corporate Law & Governance and I was very happy with every one and I am glad that I picked the 4 that I did. Alongside these units you also have to complete a 10-15,000 word dissertation which, as normal, I was dreading! Although, with that being said I did have a lot more determination and motivation to get all my work done with time to spare but still to a high standard. I think it is safe to say that it has paid off because all my results so far this year have been higher than ever before. I haven't found out what my final classification is yet but I will be sure to let you all know when I do, for all updates make sure you are following me on Twitter! Overall, I loved my time at Bournemouth University and I would highly recommend it to anyone. The atmosphere on campus is so chilled out, you can get help when you need it and they are quick at responding and there is never a dull moment with events and occasions happening. As far as the teaching staff go, I never had a problem with any of them that I came into contact with. My lectures would provide additional support when they could, answer any of my silly questions and give any advise when I needed it. However, it is the latter part of this blog post that I never ever thought I'd be writing because I always thought, throughout my four years at university, that when I had finished my degree I would be over the moon. Don't get me wrong, I was sad to leave but I did celebrate after my final exams. After a while it dawned on me that this was it, I had finished my degree and I was now unemployed and that scared me a lot. I have never been someone that can rely on someone else for money so being thrown in at the deep end has really hit me hard. No-one else is putting pressure on me to get a job but I am, I am always so hard on myself and nothing is ever enough. I am trying to work on this because I am never going to get anywhere with that attitude, but with it being the first time I have been in this situation it is definitely a learning curve. Did any of you go to university? Did you feel the same when you had finished?